Forest Fein, MA, is the Curriculum Director and Lead Instructor of the Mindfulness Programs for Youth at UCSF Osher Center for Integrative Medicine. He is the founder of "Mindful Human: The Art, Science + Practice of Mindful Living" and offers classes, workshops, and one-on-one mindfulness training for teens and adults. Forest also teaches in a variety of settings including high schools and colleges, counseling and health clinics, retreat and community centers, businesses, churches and private homes. Forest is a Certified Mindfulness Teacher through the Mindful Awareness Research Center at UCLA. 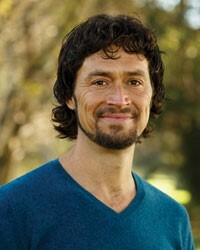 He is a student of the Diamond Approach and has been practicing mindful awareness since 1999. For more information please visit: www.Forestfein.com.